Representation of the buyer of the historic Taj Boston Hotel, through a stock purchase transfer. Representation of Boston Properties in connection with the development of the Marriott World Headquarters and the Marriott Flagship Demonstration Hotel in Bethesda, MD. Representation of Hyatt in connection with the $112M sale of the Hyatt Regency Boston Hotel to Chesapeake Lodging Trust. Representation of the Massachusetts Convention Center Authority in the issuance of an RFP for two upper mid-scale hotels to be developed on public land as part of the Boston Convention & Exhibition Center in Boston’s Seaport District; negotiation of a Development Agreement, Ground Lease, and Room Block Agreements with the designated developer, who ultimately built an Aloft and an Element on the site. 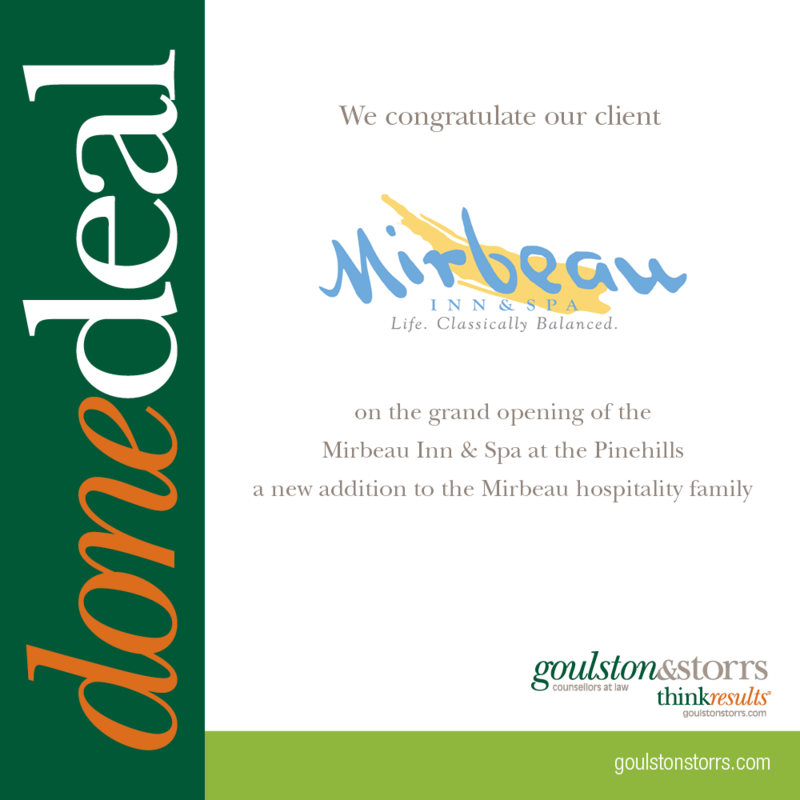 Representation of Mirbeau Hospitality in the acquisition, financing, development and branding of a new Mirbeau Inn and Spa in Plymouth, Massachusetts. Representation of Pyramid Hotel Group in connection with a leveraged investment transaction in which TZP Group acquired a majority interest in PHG company.